I will breathe. I will think of solutions. I will not let my worry control me. I will simply breathe. 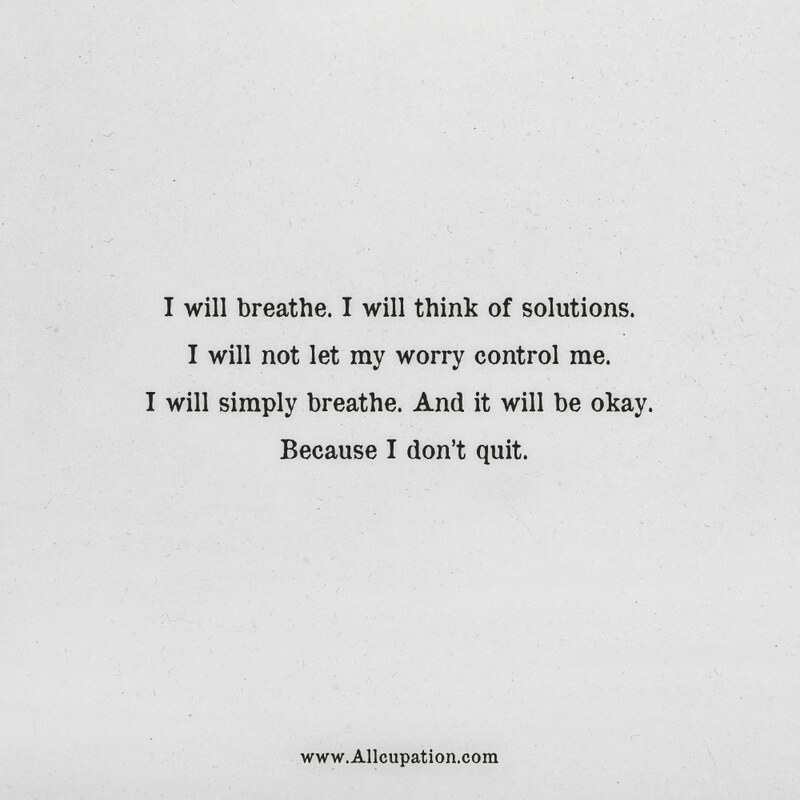 And it will be okay. Because I don’t quit.